These forks are a smart choice to accompany our many other organic products. A large grip with superior strength and rigidity make these utensils comfortable and easy to use with any food. These plant starch forks are made of a 100% annually renewable resource. The plant starch forks do great in hot and cold temperatures. 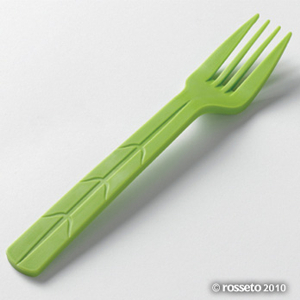 These forks are great for picnics and BBQ’s since they can simply be disposed of with the rest of the waste food.